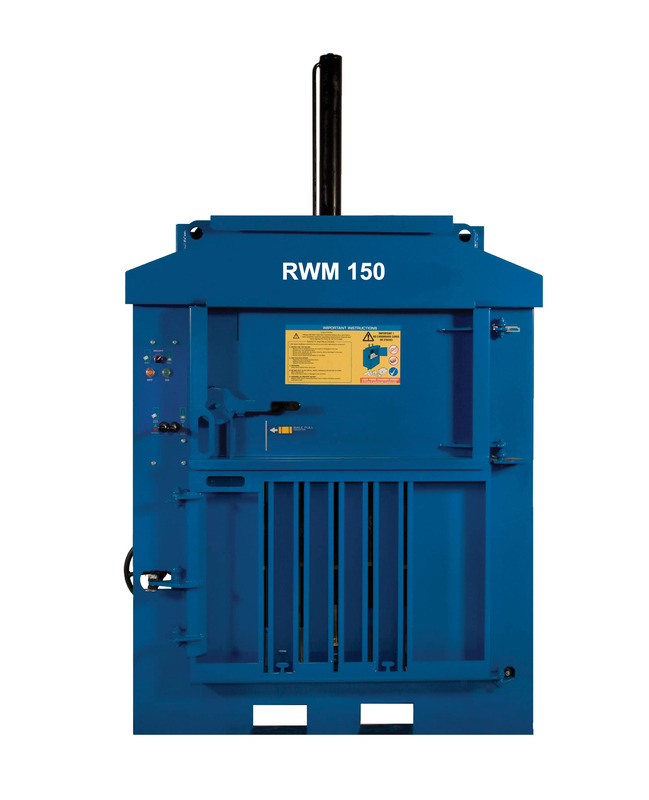 The RWM 150 is a medium-sized and reliable vertical waste baler. It’s suitable for all establishments wanting to take control of packaging waste and convert dry recyclables into manageable bales, and is typically used by manufacturers, warehouses, large office complexes, distribution outlets, prisons, hotels and hospitals, amongst others. The RWM 150 can confidently handle cardboard and plastic film. Medium-sized bales of up to 150kg. Baling tape or twine would be suitable for this machine – both are in stock, available in various quantities from our online shop, and are competitively priced. By visiting the dedicated RWM 150 waste baler page, watching the video of the machine in action, reading about Edmundson Electrical’s investment or by contacting us directly. People are welcome to call us on 01423 325038 for an informal chat or they can email sales@wastemachinery.co.uk to outline their requirements in more detail. Look out for the next baler of the month feature in March, or follow us on Twitter for our latest news updates and offers.